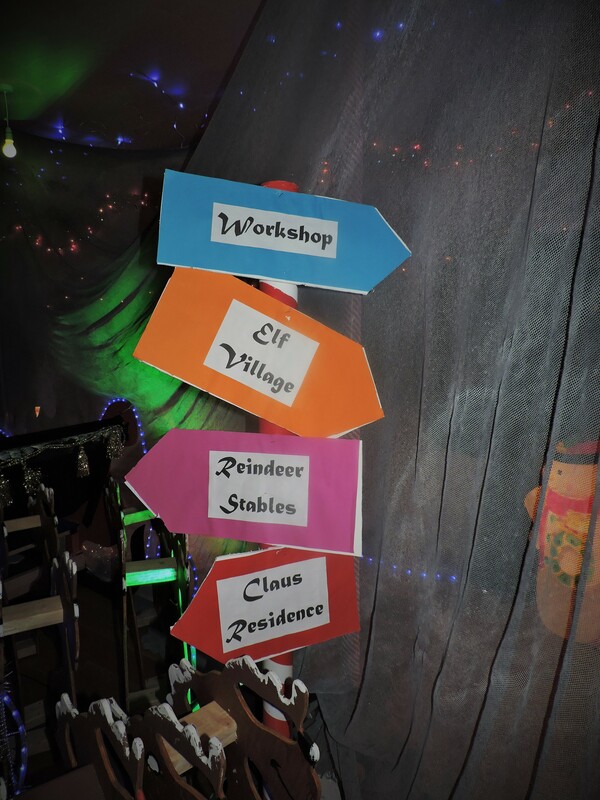 It’s that time of year again, when we have to decide where to bring our little ones to get the very best Christmas experience. The list seems to grow each year and the choice is phenomenal. 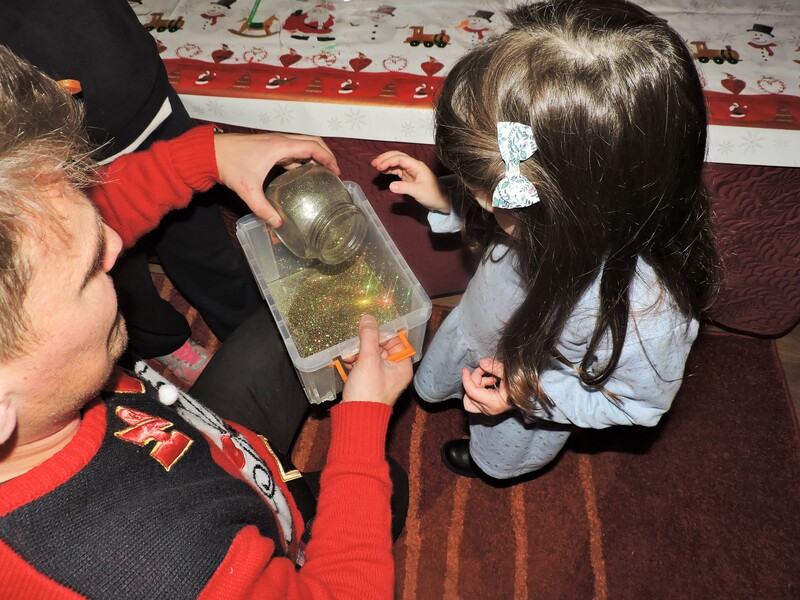 But the more popular the venue, the longer the queue and Olivia doesn’t do queues very well lately and as this year is her first BIG year believing in what Santa is all about, we decided to keep it local and take advantage of what was on offer, right on our doorstep. 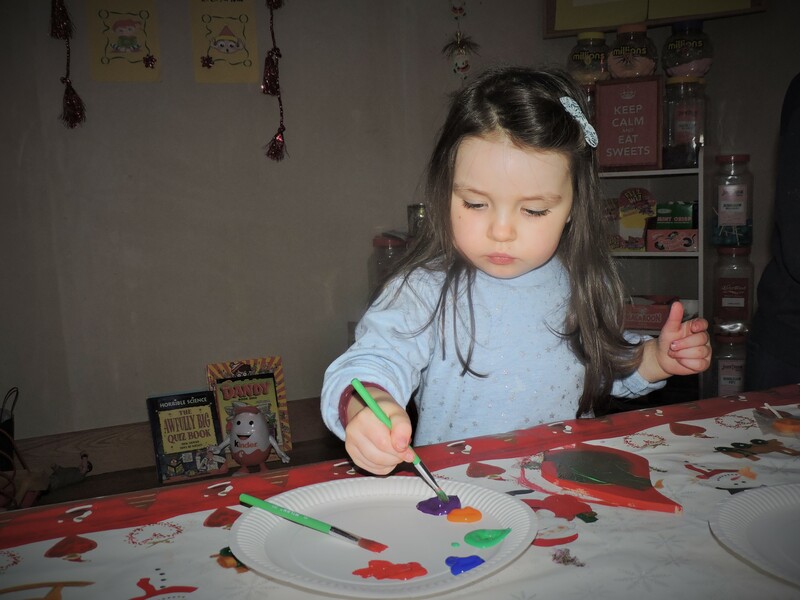 The Little Elves Workshop is located right in the heart of New Ross on South Street. When we arrived we were greeted by the elves friendly, enthusiastic helpers. 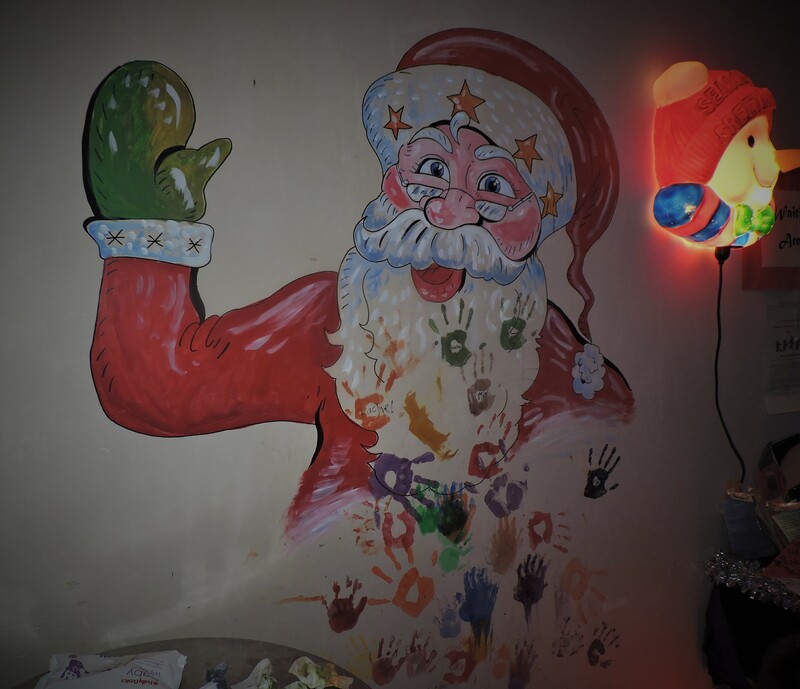 Olivia got to paint her hand and leave a hand print on the wall under a picture of Santa Clause, creating Santa’s beard. I imagine his beard to be huge come Christmas Eve! Once her hands were wiped clean, she got to sit on Santa’s sleigh for a cute photo opportunity…Then the real fun began. We were taken down towards the elves workshop and along the way we saw tree murals on the wall with lollipops adorning them and lots more scattered on the ground (they’re the ones that are ripe enough to eat!) 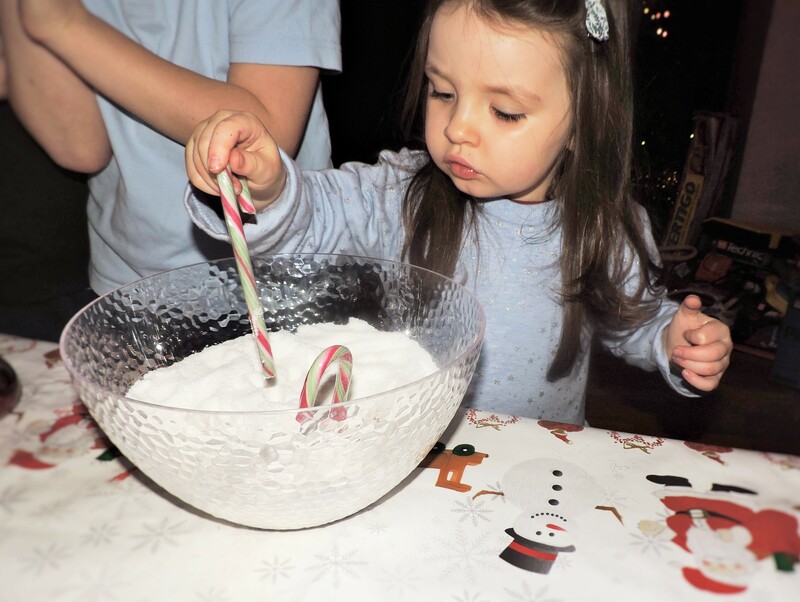 Olivia also got to sow a seed into a magic bowl and once she was finished in the workshop, the seed would grow into candy cane that she could take home and enjoy. 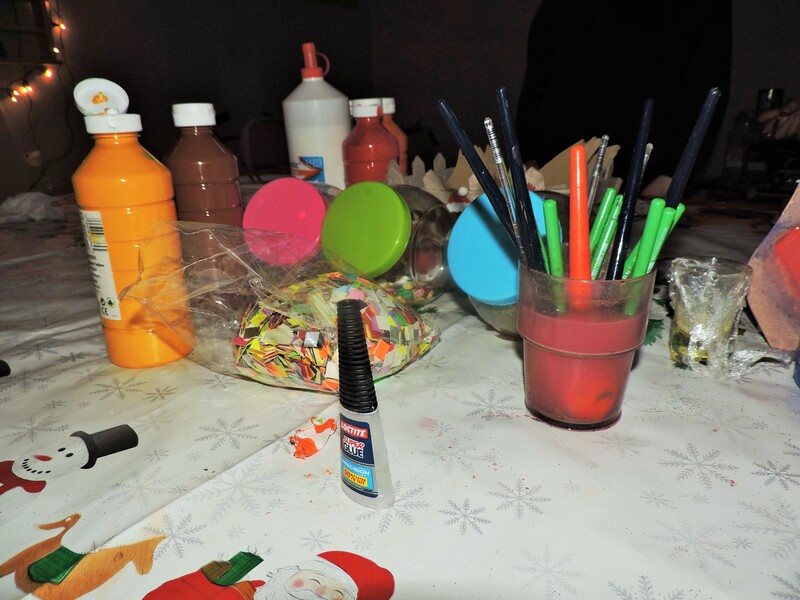 Behind the black curtain was The Little Elves Workshop – complete with broken toy’s ready to be repaired and a work bench, Christmas tree and lots and lots of elf doors that the kids get to paint and decorate themselves. 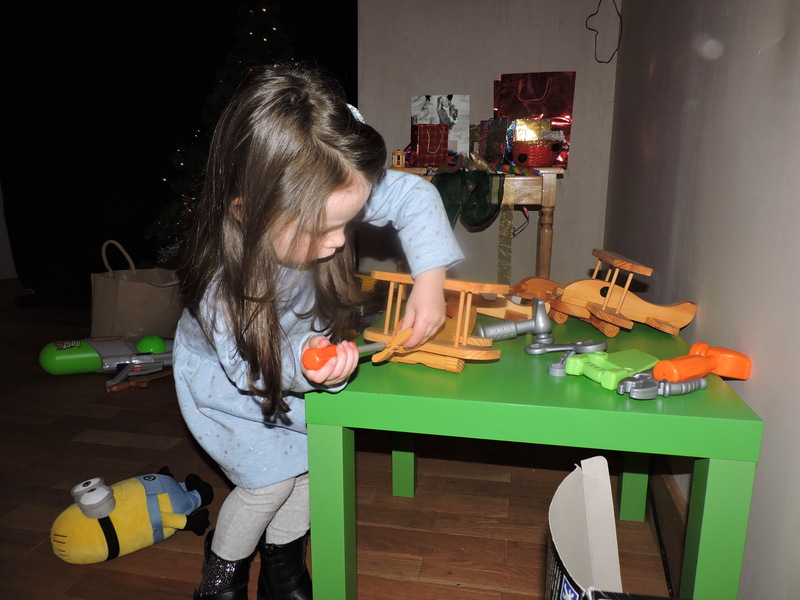 Olivia was quite taken with the wooden toy’s there and she happily played away with them, but once the painting began she bolted to the table to show off her artistic skills! There was glitter and buttons and jewels galore. 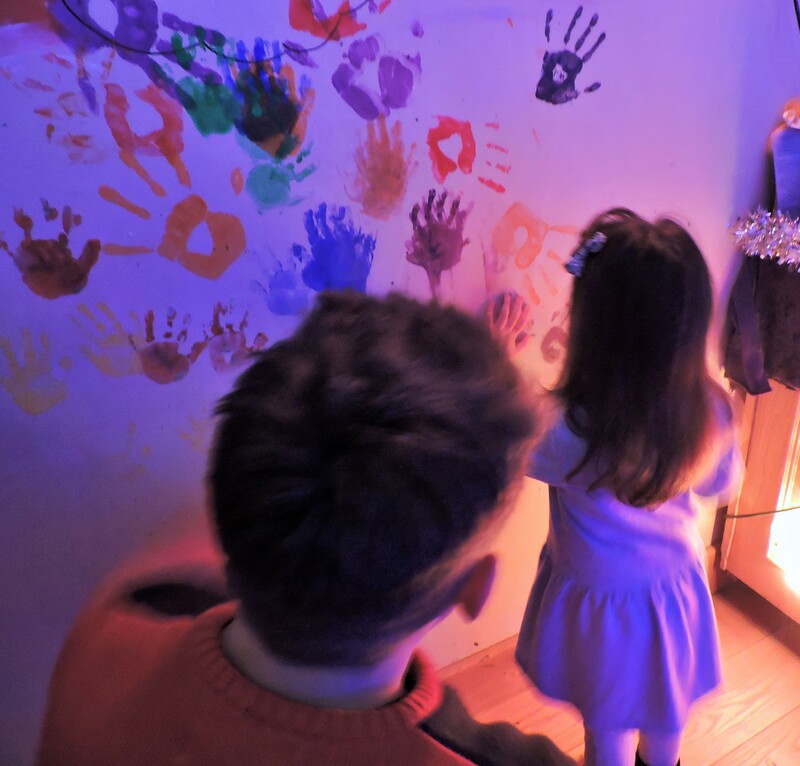 Each child has the opportunity to create a unique door to bring home and put up wherever they like. The story behind having the elf door is – If you leave the door in your living room on Christmas Eve, then the elves will be able to get inside your house to help Santa deliver all of the toys…..It’s a great way to keep their imagination alive. 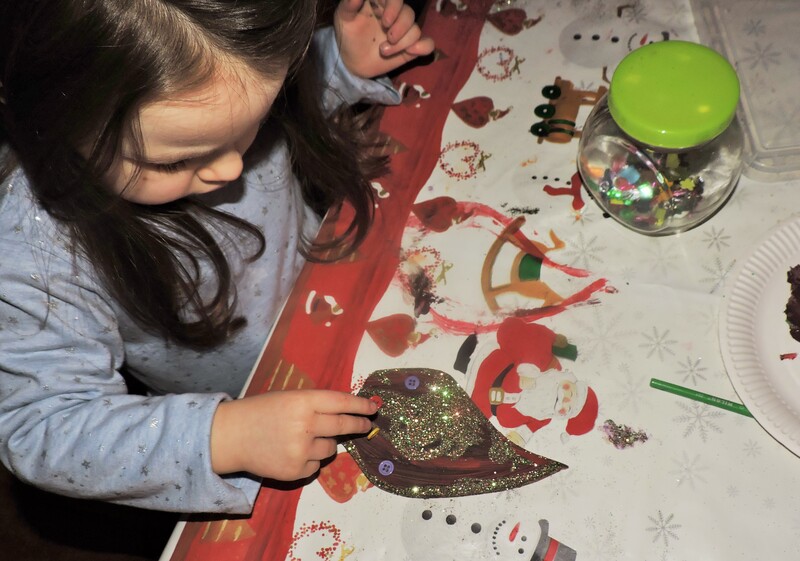 While the painted doors were drying, the kids got to play with the toy’s and also help decorate the Christmas tree as the elves are too short to dress the upper half! 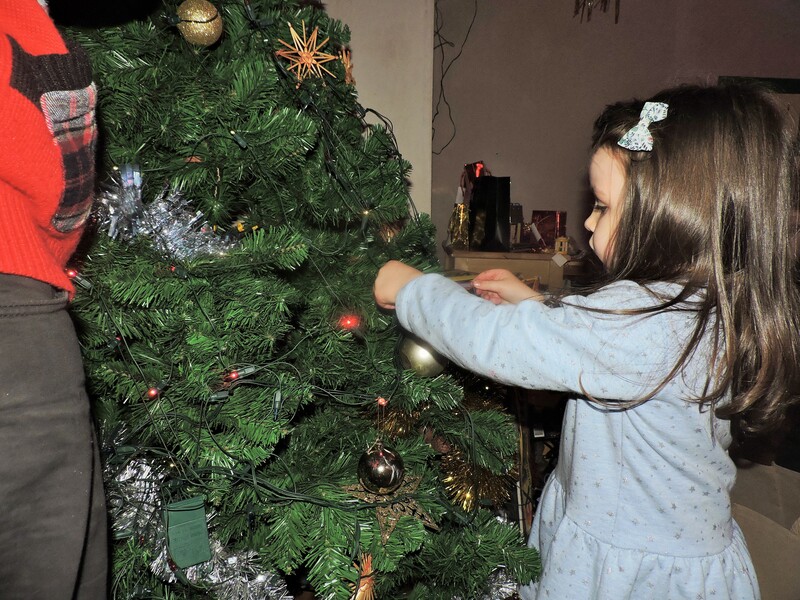 We hadn’t put up our own tree when we went to the workshop last Friday, so Olivia had a nice bit of practice doing this. When the doors dry, we were taken back outside and each child’s name is put on a huge list on the wall. We then got a token to go next door to the coffee shop for a hot chocolate. Overall the experience was really sweet and great for little kids and parents to have (just under an hour of) fun together. We’ll be adding our elf door to the fireplace on Christmas Eve for sure! I have one Elf Door Pack complete with paint pots, paint brush, glue and glitter to giveaway to 1 follower. All you have to do is leave a comment below and I’ll pick a winner this weekend! Wow! Sounds like Olivia had a great time. Fab pics too. What a wonderful way to spend the afternoon and right on our doorstep too. I would love an Elf Door Pack for my little girl Mia. That seem like great fun we don’t realise what we have on our own doorstep ..
Previous#Mamastyle – Vintage Party Look.